It’s always a gift to see how photojournalists interpret life, especially shots like this signature image by renowned photographer Ormond Gigli. Gigli gained fame for his colorful photography of dance, theater, and film stars for publications like Time, LIFE, Colliers, Esquire, and The Saturday Evening Post. 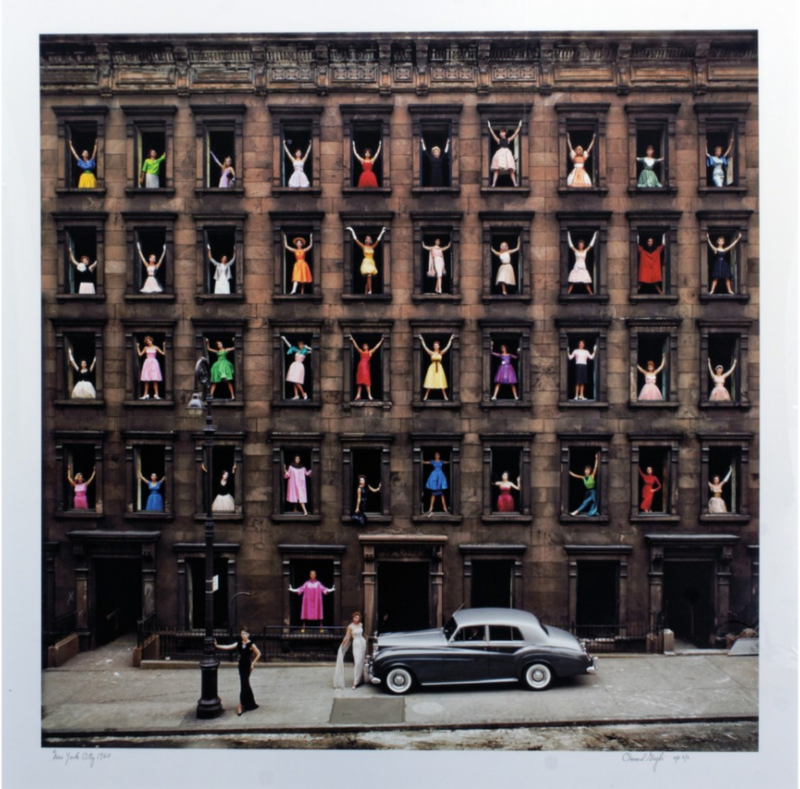 But his famed 1960 “Girls in the Windows” was a spur of the moment inspiration. In 1960, while a construction crew dismantled a row of brownstones right across from my own brownstone studio on East 58th Street, I was inspired to, somehow, immortalize those buildings. I had the vision of 43 women in formal dress adorning the windows of the skeletal facade. We had to work quickly to secure city permissions, arrange for models which included celebrities, the demolition supervisor’s wife (third floor, third from left), my own wife (second floor, far right), and also secure the Rolls Royce to be parked on the sidewalk. Careful planning was a necessity as the photography had to be accomplished during the workers’ lunch time! Most professional photographers dream of having one signature picture they are known for. “GIRLS IN THE WINDOWS ” is mine. Fabulous! I believe I’ve seen it before, but not for a long time. This post is sparking memory. What an amazing image. Thanks for introducing me to it. He’s a vintage photographer, at his height in the 60s.